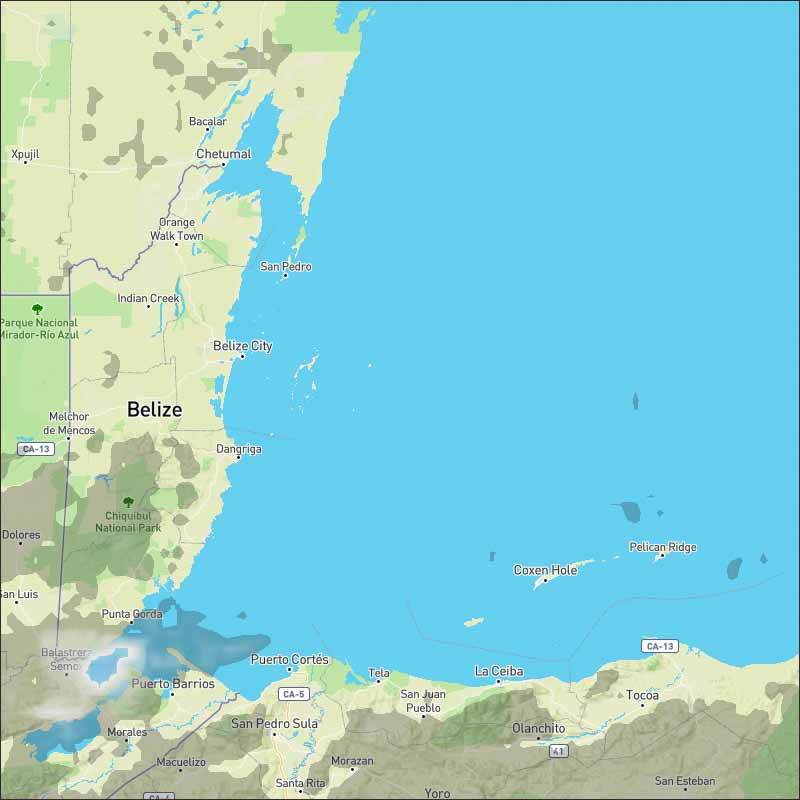 Belize NMS: A moderate easterly airflow prevails over the area. Today E-SE 10-20 kts Choppy 3-5 ft FAIR AND WARM. Tonight E-SE 10-20 kts Choppy 3-5 ft LITTLE OR NO RAINFALL. Tomorrow E-SE 10-20 kts Choppy 3-5 ft LITTLE OR NO RAINFALL. Outlook E 10-20 kts Light Chop 2-4 ft LITTLE OR NO RAINFALL. Scattered showers are moving W with the tradewinds over the eastern and central Caribbean E of 80W. These showers are being enhanced by upper level diffluence E of a sharp upper level trough over the NW Caribbean. 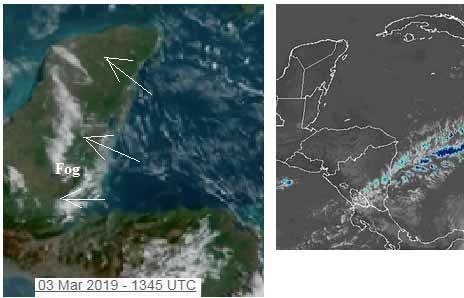 Elsewhere, scattered showers are inland over Central America from Honduras to W Panama. Fresh to strong trade winds will prevail over the south central Caribbean through Wed, then increase in coverage across the central Caribbean Thu. Winds will freshen over the eastern Caribbean Mon night and Tue. East swell will propagate through the tropical Atlantic waters Sun through Tue, then subside on Wed. A cold front will enter the NW Caribbean Wed. The front will stall from the Windward passage to E Honduras Thu, then weaken Thu night. Strong winds will be possible to the lee of Cuba and over the Windward passage Thu and Thu night. 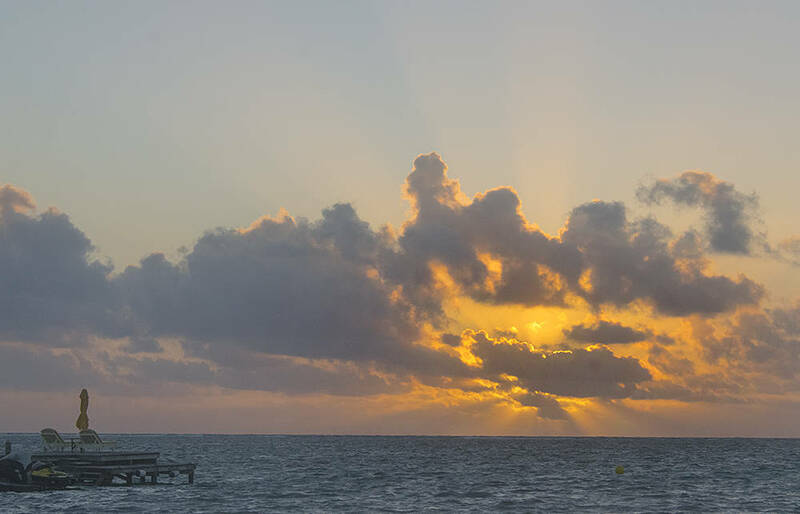 On Ambergris Caye this morning it's sunny and warm with a wind from the East at 15 mph. The sea state around our barrier reef is rough. The expected high temperature for the day is 87 f.
Easterly Caribbean clouds building, no rain seen on the radar. 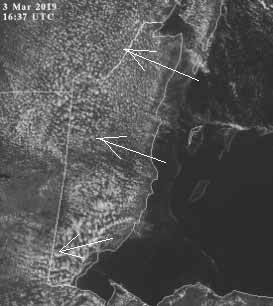 Looks as if the same sunny weather will continue, white clouds building this morning, will reduce this afternoon, no rain expected. 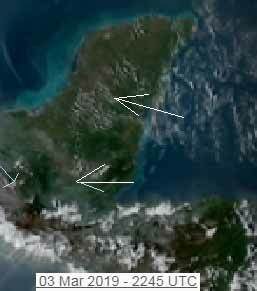 The Cloud picture.... Notice, as typical, the clouds form when the Caribbean winds cross off the sea onto land. Looks like just continuing the same weather tomorrow.